Home to some of the most exquisite herbs and spices, Morocco has a lot of different food and drinks to offer. 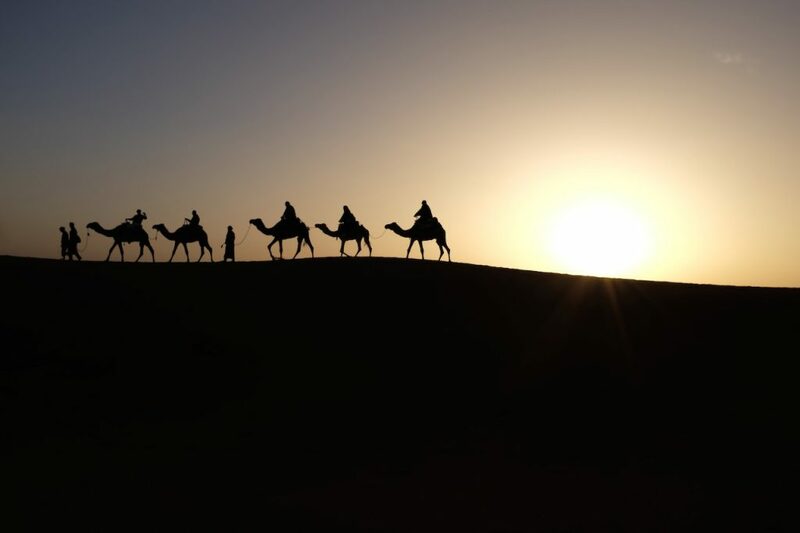 Over centuries of developing the amazing culture that we all know and love, Morocco’s cuisine is a result of Berber, Arabic and Jewish influence. The Berbers brought the unique cooking style of cooking foods over coal fires, as well as a variety of bread and delicious dips. Following this, the Arabic culture brought lamb, dates, and sweets, and the Jewish culture contributed with olives and pickled lemons. 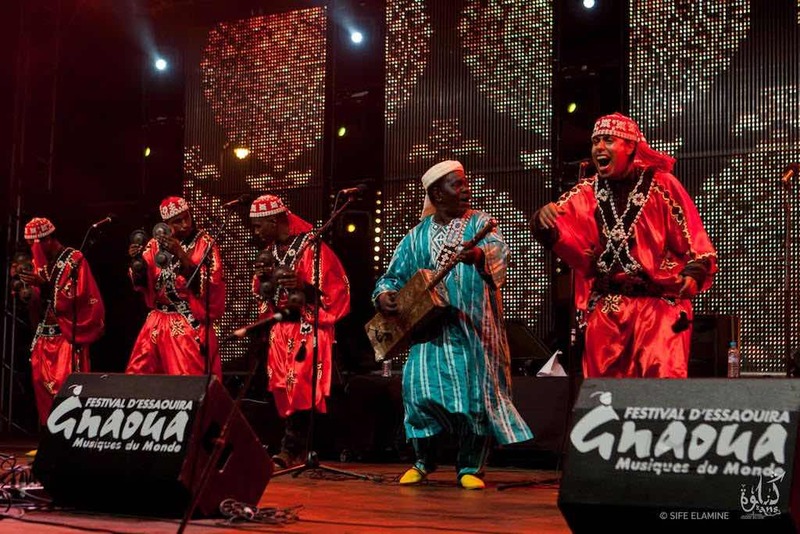 By combining these different cultures, Morocco has now a lot of different and delicious dishes on the table. So, if you’re going to be visiting Morocco in the future, here are some of the food and drinks that we highly recommend getting your hands on. 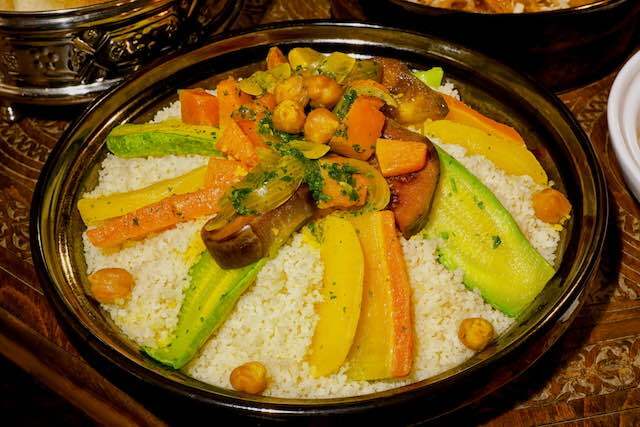 At the top of our list is one of Morocco’s most popular dishes: tagine. 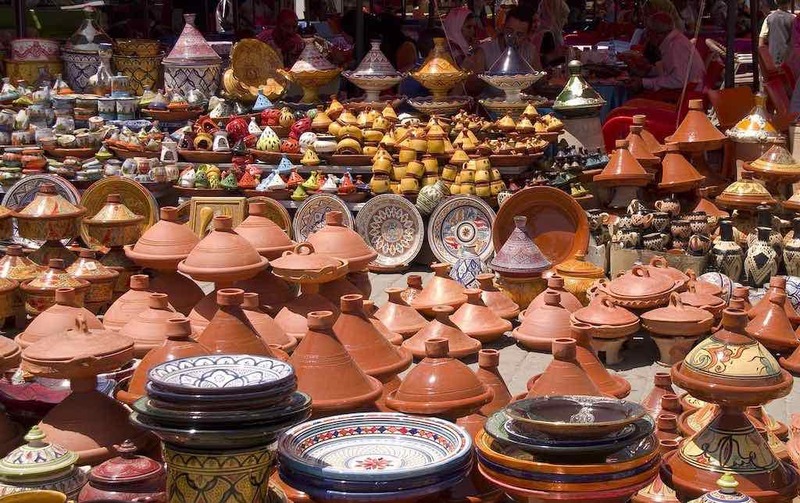 Not only do Moroccans love it, but tagine is one of the things that make tourists return to Morocco in the future. 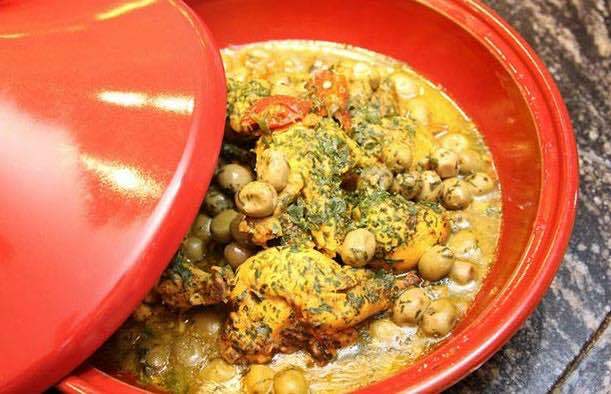 “Tagine” is actually the name of the pot that the dish is prepared and served in. Inside of this pot, you’ll find a mixture of meats, vegetables, and a pool of juice that makes the flavours even more exciting. If you’re in Morocco, make sure that you try tagine before you return home. Green tea has become a popular beverage everywhere in the world over the last few years, including in Morocco. 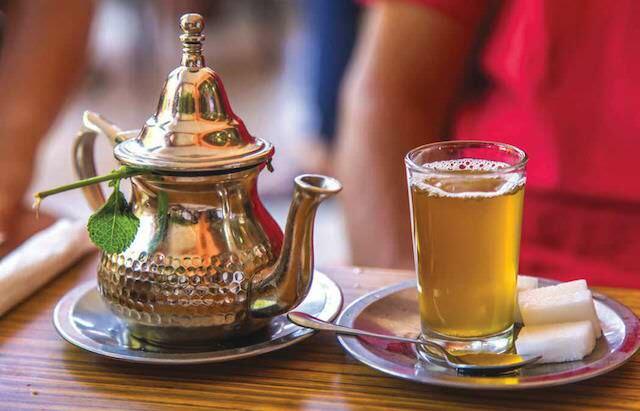 Moroccan mint tea is a type of green tea that consists of sugar, mint leaves, and more sugar. This refreshing drink is delicious and even though it’s full of sugar, nobody can refrain from having a few of them during their vacation. 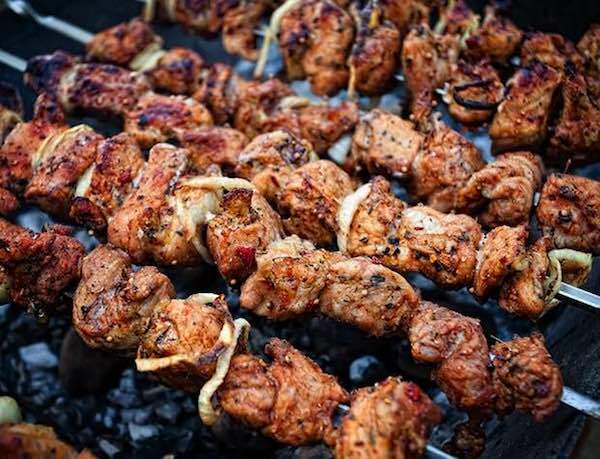 One of the great things about brochettes is that not only are they a tasty meal, but you can find a food vendor that sells them on virtually every Moroccan street. These kebabs consist of char-grilled meat, spices, and a combination of grilled vegetables to add even more flavour. 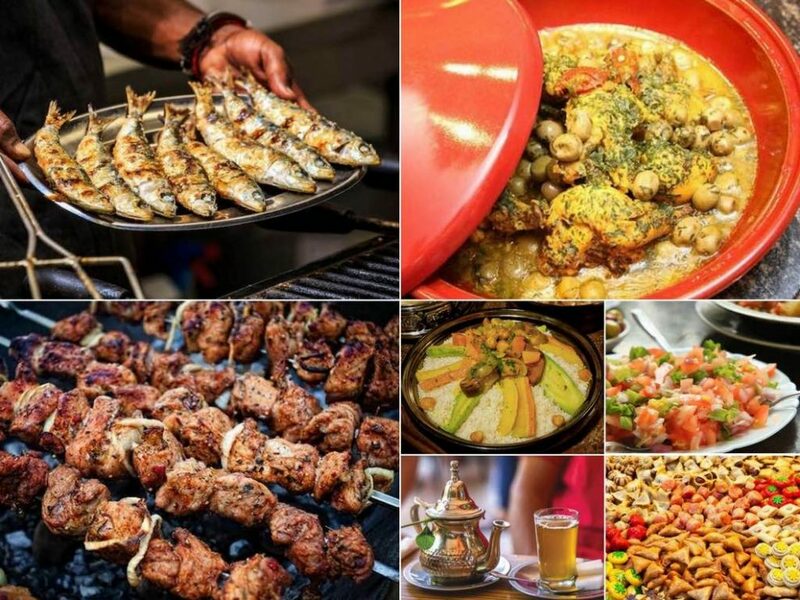 As a result of Morocco’s geographical location, there is a huge fishing industry and as such, there is plenty of fresh seafood dishes to try out while you’re there. 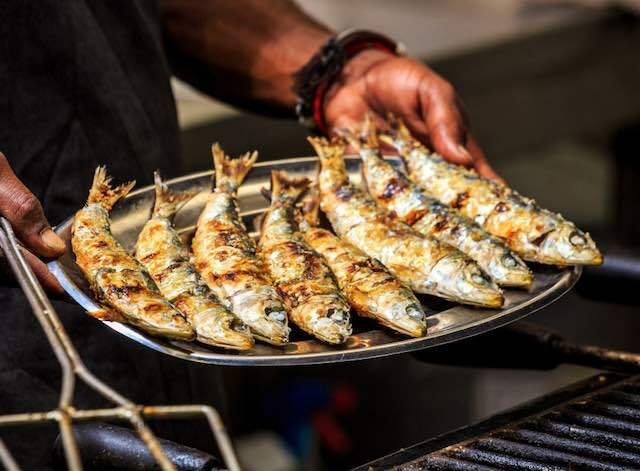 Sardines, prawns, anchovies, and mackerel are the most common types of fish that you’ll find on Moroccan menus and if you’re a fan of fish dishes, nothing can beat a fresh catch! Couscous isn’t for everyone, but Morocco’s adaption of this delicious dish is a game changer. Served similar to the tagine, couscous is typically topped with a mixture of meat and vegetables. But every food vendor cooks their couscous dishes differently, so expect some variation when you try different restaurants in Morocco. As tempting as it might be to avoid salads while you’re on vacation, Morocco’s approach to mixed salad isn’t what you’d expect. 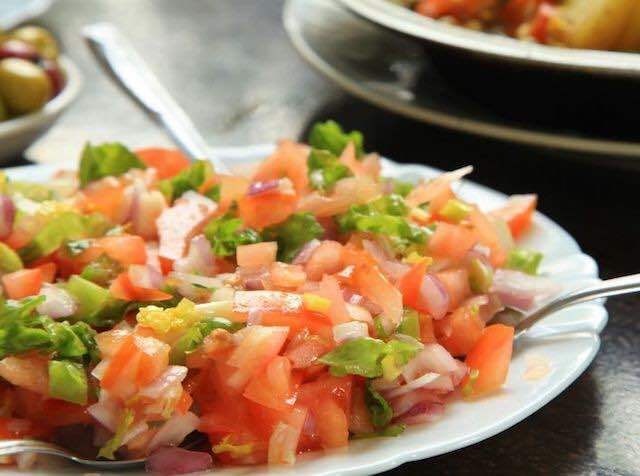 In Morocco, salads are served with a side of bread, vegetables (hot, cold, cooked, or uncooked – it’s your choice), and the salad is tossed with a few herbs and spices thrown in. Although you can have salad as your main meal, it’s typically served with a main dish like tagine. Lastly, after eating an unforgettable Moroccan meal, you can reward yourself with a sweet. 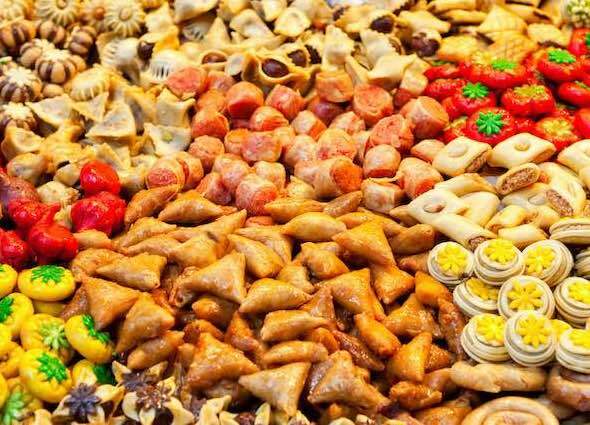 Just like most of us, Moroccans have a constant craving for sugary food and drinks. Not only are their cakes and sweets full of sugar, but they’re often served alongside the classic Moroccan Mint Tea. Gazelle Horns, a mix of cinnamon, orange flower water, and almond paste. Sugar Coated Peanuts, peanuts that have a sugary shell, great for snacking. Date Truffles, truffles that are packed with crushed nuts, cocoa powder, and dates. Briouats, a sugary pastry that has an almond filling and is then deep fried. B’stilla, a puff pastry pie filled with nuts, eggs, among other ingredients. From that list, our recommendation would be the Briouats. The crispy pastry sweet will have you on your knees and begging for another one.